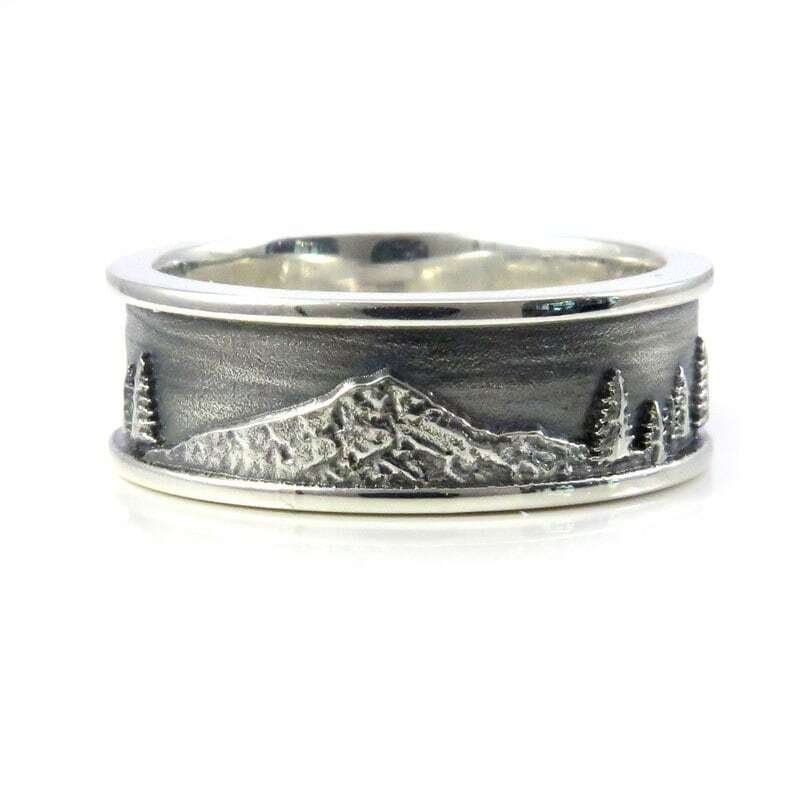 This ring has a stunning view of Mt. Hood against an open skyline. Trees can also be seen going around the band. 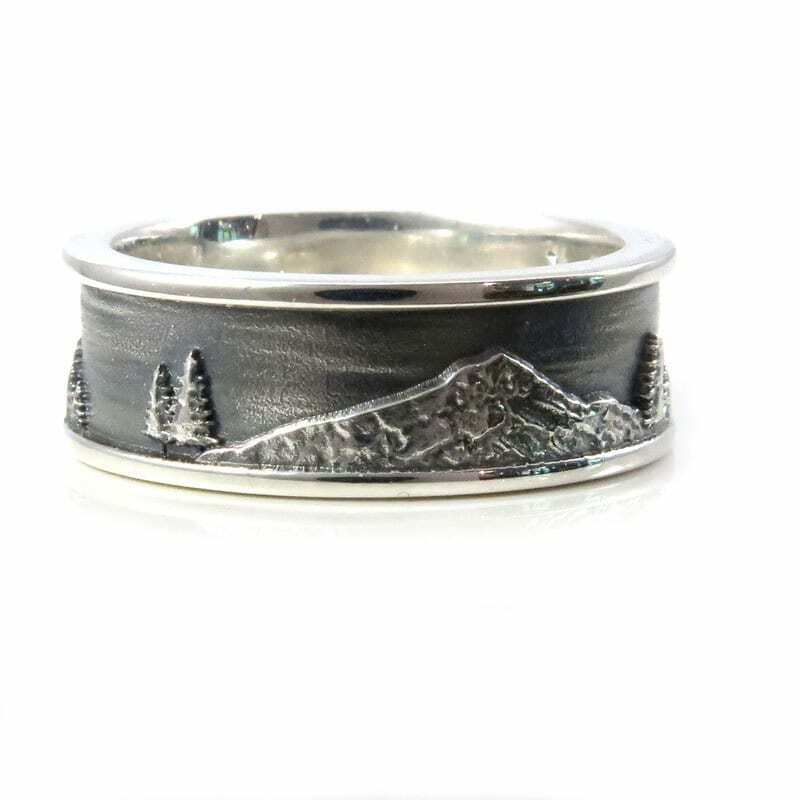 It has a black oxidized background and highlights on all the detail of the ring. 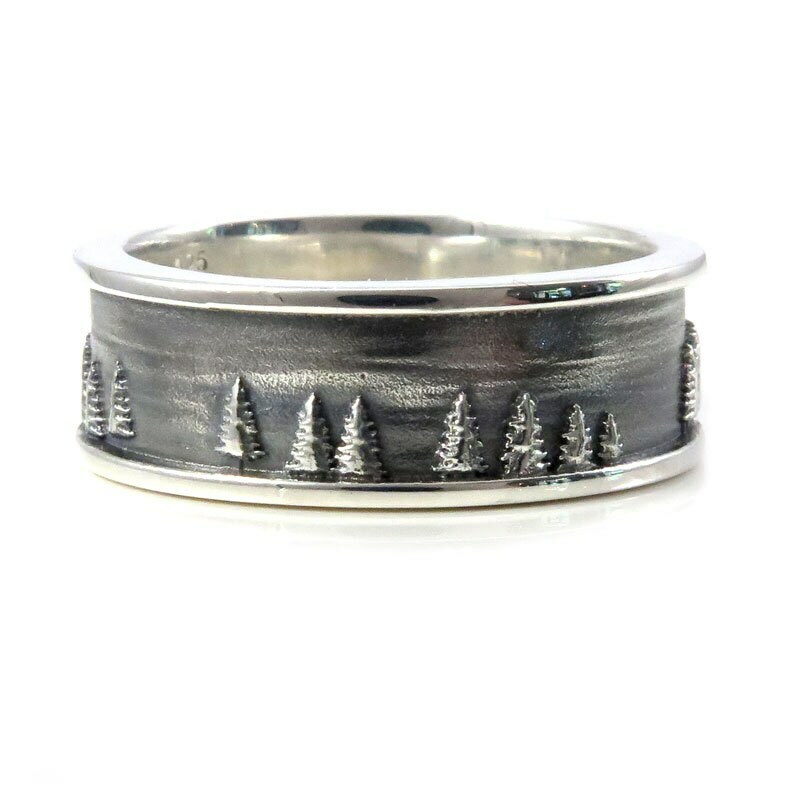 This ring is 8mm wide. 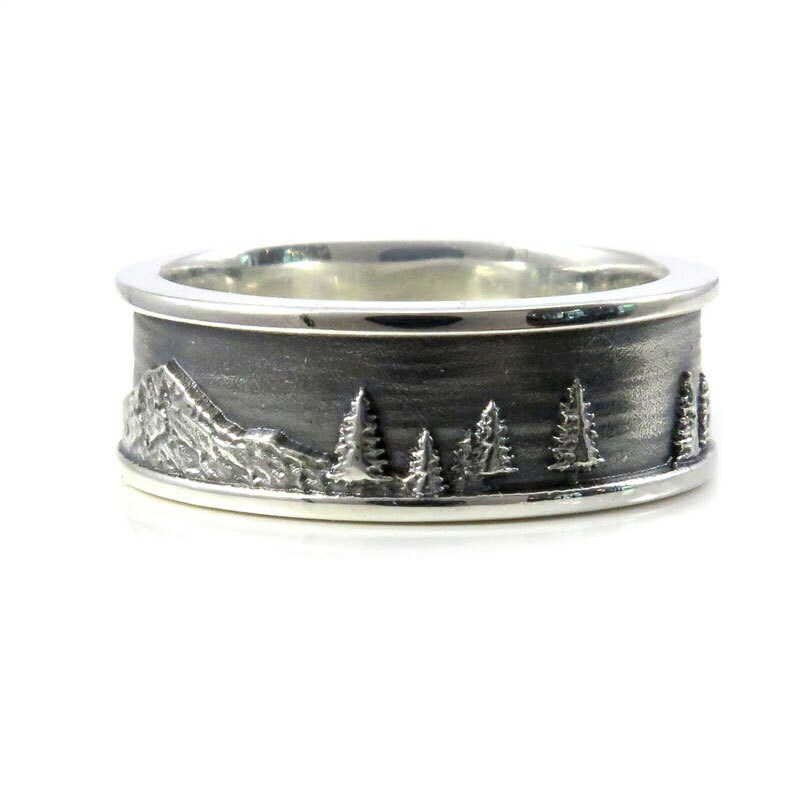 This ring is cast in sterling silver and will be made to order in your size. 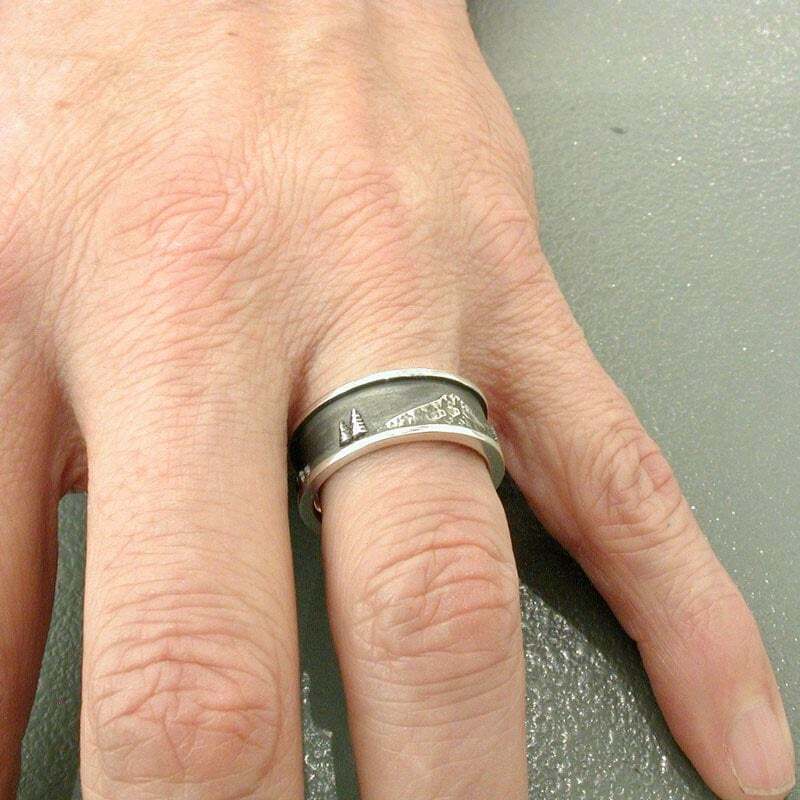 If you need a size outside of what is offered on this listing please contact us and we will give a quote for that ring. Our current turn around time is 4 weeks.